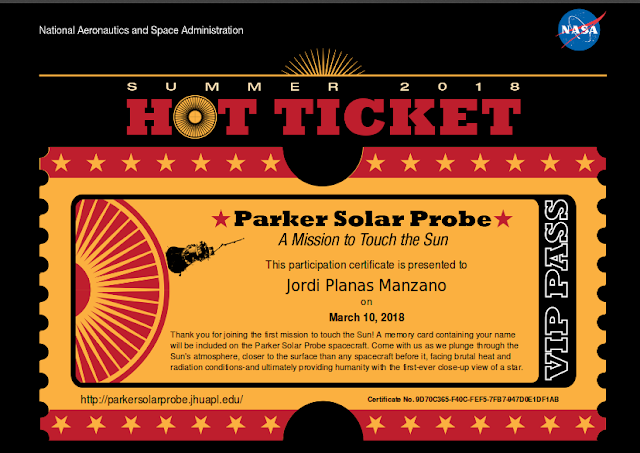 Thank you for joining the first mission to touch the Sun! A memory card containing your name will be included on the Parker Solar Probe spacecraft. Come with us as we plunge through the Sun's atmosphere, closer to the surface than any spacecraft before it, facing brutal heat and radiation conditions-and ultimately providing humanity with the first-ever close-up view of a star.